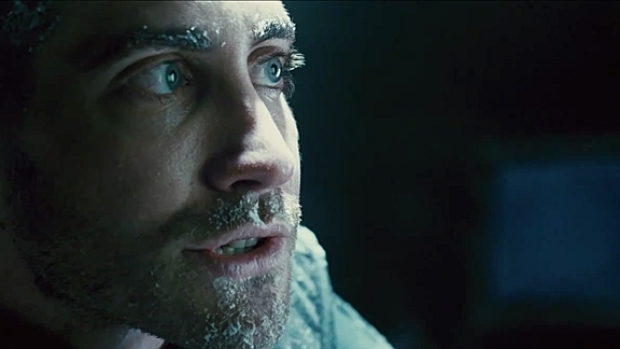 Here's the new trailer for Jake Gyllenhaal's "Source Code," about a soldier repeatedly sent into another man's body until he figures out how to prevent a dirty bomb from hitting Chicago--think "Avatar" meets "Groundhog Day." Directed by Duncan Jones (son of David Bowie and director of the fantastic "Moon"), the film co-stars Michelle Monaghan as the pretty girl Gyllenhaal meets on the commuter train, and Vera Farmiga and Jeffrey Wright as the people behind the special government project--Source Code--that allows someone to inhabit another person's body for the last eight minutes of his or her life. There's not much new here in terms of footage, but we still have high hopes for this one. The film opens April 1.